This blog has seen many changes over the past few years. I initially set out in July 2008 with the main intention of writing mini-biographies of my ancestors. 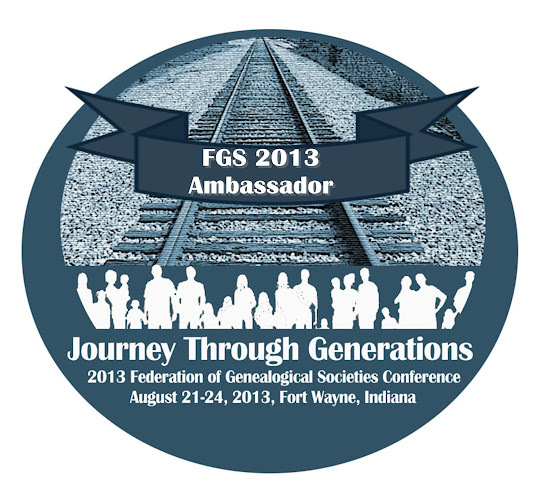 But as I learned more about the field of genealogy my research has grown and my blog is very focused on my research. Whether it be research results, brick walls, or articles helping other genealogists, genealogy research is the main focus of this blog. GenBlog is owned and operated by Julie Tarr. The content (including images) herein is either my own or used with permission (whether consent of author or licensing agreements) and therefore shall not be copied or reproduced in any manner without permission. I reserve the right to moderate comments, and although they may be approved, this does not necessarily mean I agree with or support the views of the commenter, nor am I responsible for their words or actions. While I strive to produce accurate and reliable content, mistakes can happen. Additionally, changes made to a product, service, event, etc., after the initial posting of the content may alter the accuracy of said content, especially with technological products and services. I do try to update content accordingly, but this is no always possible. This blog does use affiliate links and ads to generate funds to support this blog so I can continue to share with you genealogy news, education, and stories, all of which I hope help you with your own genealogy research adventures. I have only chosen to be an affiliate for products/services I use and believe in.